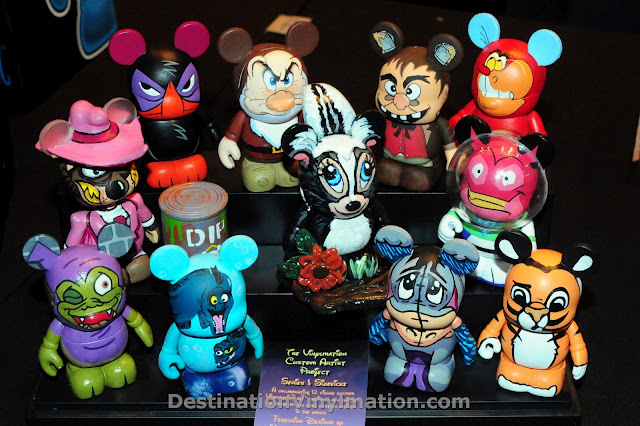 We have exciting News "The Custom Artist Project" was Spotlighted on Destination Vinylmation. Here is a look at the complete set. This project teams up 11 talented Vinylmation custom artist that will make a series of 23 figures and 1 mystery chaser. This first series is "Sidekickz". To read the Spotlight on Destination Vinylmation Click here.